Militia takeover sparks debate on meaning of "terrorist"
BURNS, Ore. - They call themselves patriots, defenders of the constitution. They love guns and they hate the federal government. They are largely white, and the numerous self-styled militias popping up across the country have frequently been accused of taking on racist beliefs or practices. In Oregon, there was a perfect mesh of the love of guns and the hate of the federal government over the weekend when a militia took over the headquarters of the Malheur National Wildlife Refuge after protesting the arrest of two ranchers. Ammon Bundy - the son of Nevada rancher Cliven Bundy, who was involved in an armed standoff with the government over grazing rights - told The Oregonian on Saturday that he and two of his brothers were among a group of dozens of people occupying the headquarters. 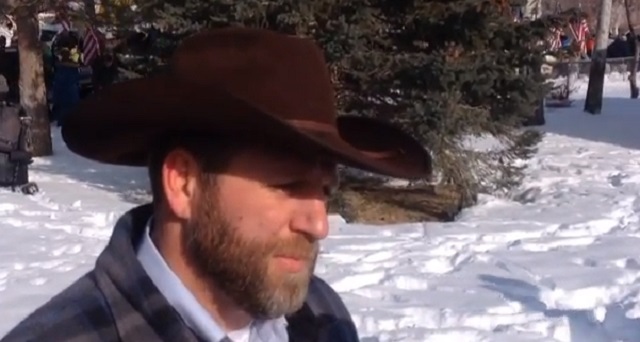 Ammon Bundy posted a video on his Facebook page asking for militia members to come help him. He said "this is not a time to stand down. It's a time to stand up and come to Harney County," where Burns is located. Below the video is this statement: "(asterisk)(asterisk)ALL PATRIOTS ITS TIME TO STAND UP NOT STAND DOWN!!! WE NEED YOUR HELP!!! COME PREPARED." So far, police are keeping their distance from the militia, reports the Oregonian. Harney County Sheriff Dave Ward said in a statement late Saturday: "A collective effort from multiple agencies is currently working on a solution." The situation has led to a debate online, with many making the assertion that the situation would be handled differently if the occupiers were not white. The hashtag #oregonunderattack has sparked a debate about the role of race in official reactions to the situation. #OregonUnderAttack is about an abandoned building in a national park, headquarters of a national wildlife refuge. Why so serious hashtag?